← Mayberry Mount Airy, N.C. 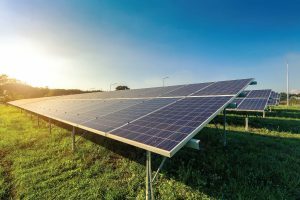 It may not be the sunniest place in the country, but one Wisconsin municipality is harnessing the power of solar for energy and future cost savings. 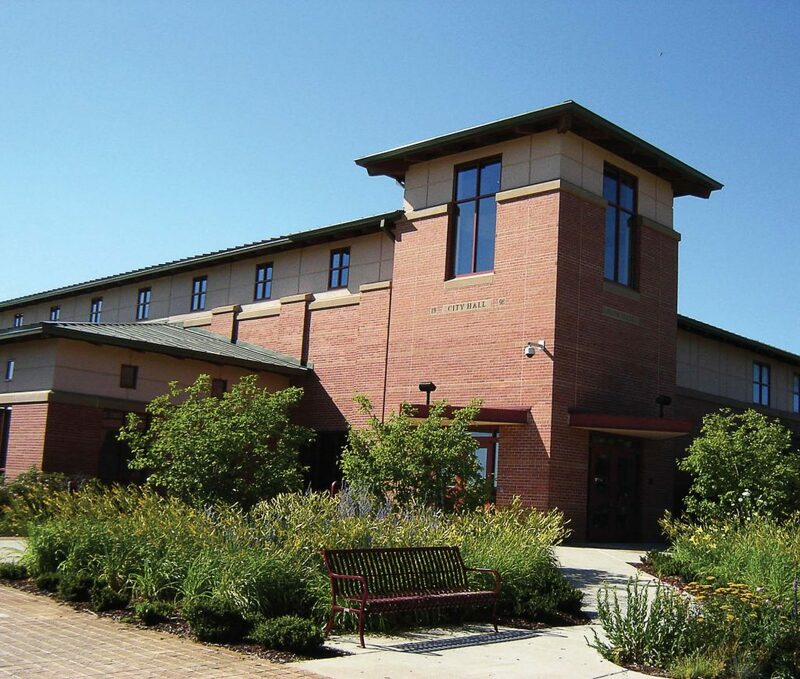 Fitchburg, Wis., installed 362 kW of solar photovoltaic panels on the roofs of the library, city hall, public works maintenance facility and a fi re station in 2017. Solar panels can generate electricity, capture and store thermal energy and they may even take the place of more conventional building materials. Fitchburg is not alone in this quest. In 2014, the Database of State Incentives for Renewables and Efficiency, or DSIRE, identified 36 medium and large cities in 15 states that also have goals or requirements for energy efficiency or renewable energy usage in municipal buildings. 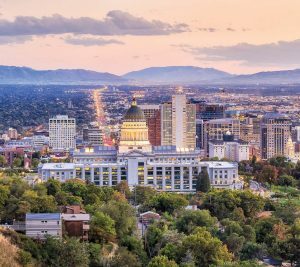 Salt Lake City, Utah, is a recent addition to that list. According to a statement from the mayor’s office, this latest round of completed installations doubles the total number of municipal sites with solar energy to 14 separate facilities. Total net project costs were approximately $500,000 for all seven sites, the statement said, and will be paid back in utility savings within the warrantied lifetime of the solar panels. Fitchburg, though a smaller community of just under 29,000, is a leader in the forward-thinking charge in the Badger State. City Administrator Patrick Marsh, who’s been with Fitchburg since 2015, is the catalyst behind this move. Previously the city administrator at Monona, Wis., he said they had luck with solar power there and he believes it’s the largest municipal solar investment in the state. According to Monona’s website, the solar arrays on four municipal buildings produce 210,000 kilowatt-hours of clean energy per year, equating to 30 percent of the buildings’ combined electricity usage. 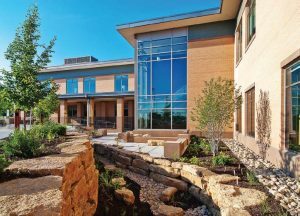 Late last summer, the city council approved the installation of the solar panels on the four municipal buildings with the generation capability to meet about 10 percent of the electricity used by the city’s operations. According to Marsh, the quarter-million-dollar project was funded through capital improvement funds. And they are already yielding results. He said despite the colder climate, they’ve seen significant results in the winter months, with “peak” volume being in the summer. This translates to energy generated and carbon savings. “There’s definitely been a savings in line with what we’ve been told,” he said. Although Fitchburg is generally happy with its solar program, Marsh said municipal leaders in other locales need to be aware of the cons. For example, it can take seven years to experience the full return on investment, which may be longer than other types of power. Maintenance due to wind and hail is also necessary, especially in Wisconsin’s climate. Th e panels are very durable, but damage does happen, he said. At the end of the day social responsibility often enters into the equation, too. Other groups agree. According to the National Renewable Energy Laboratory, the United States can generate enough solar energy from rooftops to meet nearly 40 percent of the nation’s electricity needs. Marsh said other neighboring municipalities are following suit because they are seeing Fitchburg’s success. Plus, there is an attitude of longer-term thinking. The panels, on average have about 30-year lifespans. Although, Marsh said that with technology advancing like it has been, he expects “bigger and better” things from the industry in the future, which may make the investment more profitable.